According to an EY Global Information Security survey, 87% of enterprises need to expand cybersecurity budget by 50% to keep up with the increasingly sophisticated attacks. 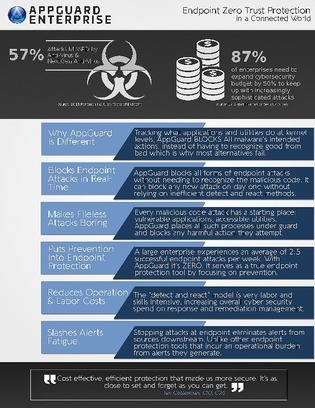 That’s why endpoint protection is important now more than ever. In this resource, discover the security capabilities of AppGuard and how your organization could benefit from its zero-trust protection strategy.